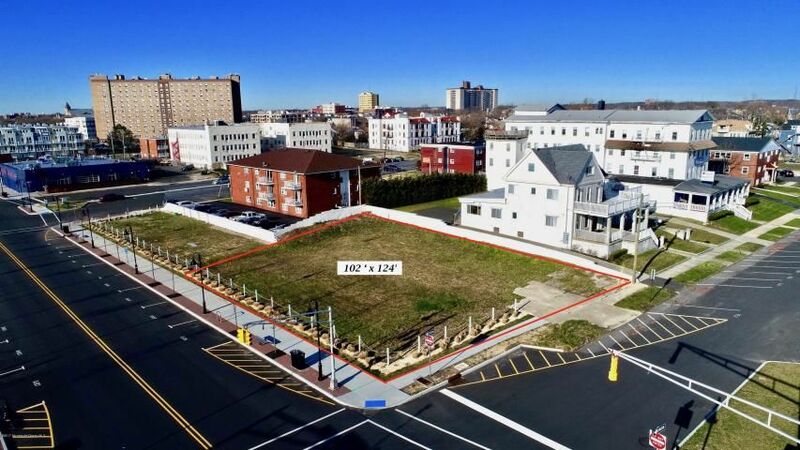 Extremely rare opportunity to purchase undeveloped land in Asbury Park's wildly booming oceanfront. This PRIME parcel is dead center of the action, surrounded by new residential, retail and commercial projects including The Asbury hotel, and 1101 Ocean Avenue, a mixed-use high rise with ground floor retail space, a 58-room luxury hotel, 414 parking spaces and 124 residential units in a 16 story glass tower (directly across the street). Parcel is currently zoned to allow 8 stories. 102X124 approx (.29 acres). ONE BLOCK to world-famous Boardwalk and around the corner from the Cookman Ave. dining, arts and entertainment scene. Currently in Waterfront Development Zone. Tons of possibilities here.. a dream home, a mixed-use tower, hotel and more.